Clear a site for a survey, development, or restore your garden to a clear, tidy condition with our Site Clearances service in Edinburgh and the surrounding areas. We will remove all associated waste with our own grab truck. We can carry out demolition, install access, boundary fencing, groundwork and carry out minor civics works. 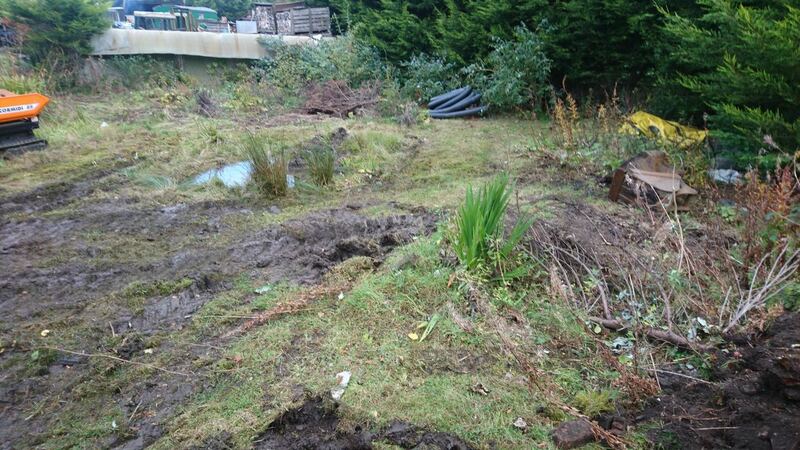 At GM Land Solutions, we offer a first-rate Site Clearance service with brilliant results every time. With powerful machines and years of experience, our site clearance specialists can carry out as much or as little as you require to get your project to the next stage. Our skilled staff will ensure that all overgrown areas will be completely rid of trees, vegetation and waste, leaving your site clean and tidy. 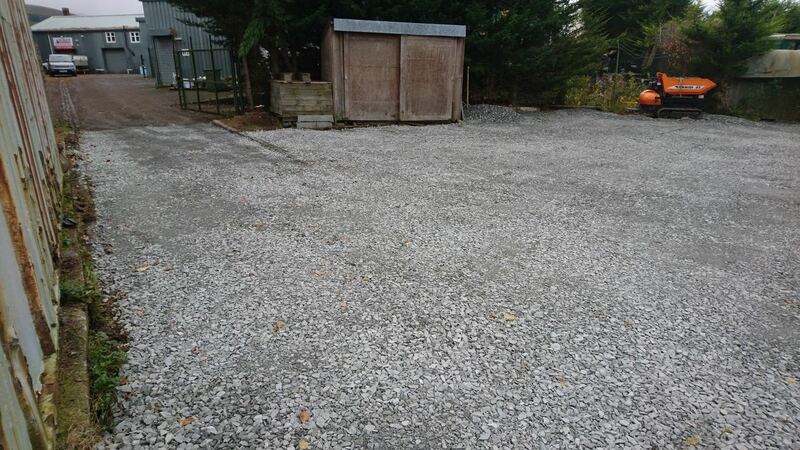 We will remove all waste associated with the work in a safe and responsible manner, leaving you a flat and clear area. Grounds can become overgrown for a whole range of reasons, whether it is a neglected site to be developed, on former agricultural land, a neglected garden or in an industrial area. Gardens, estates, communal and industrial areas can also become overgrown and may need to be dealt with. Clearing the vegetation will allow to you continue with your plans and get a space you can work with and accurately survey. GM Land Solutions will also carry out demolition work if required within a site. 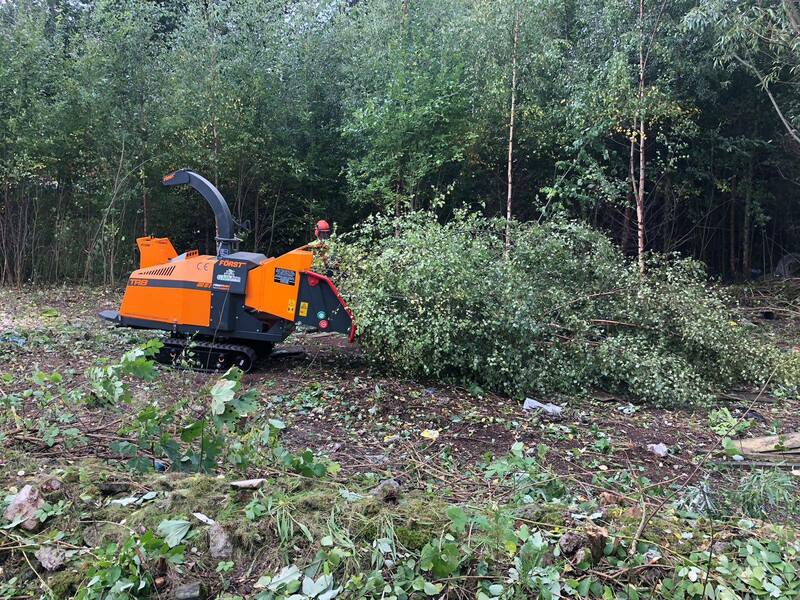 Clearing away excess vegetation with our site clearance services based in Edinburgh, Scotland can return your area to a manageable blank canvas, with which you can create new landscape designs with our other Services available, should you wish to, or start your building project. We will bring all of the necessary equipment and tools to make sure your project is carried out quickly and finished to the highest possible standards a efficient manner. We have the equipment to clear trees, stumps, vegetation, structures and soil. 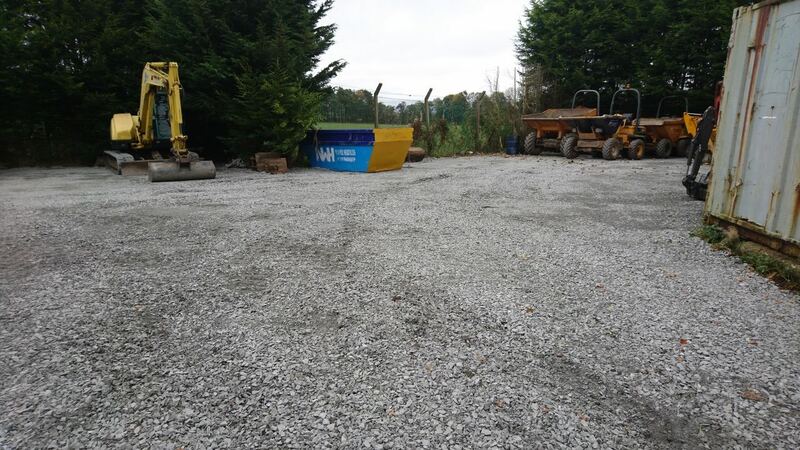 At GM Land Solutions, we have out own 32 tonne grab truck for waste removal and to bring in material as well as larger excavators to prepare a site for landscaping, building or just to generally tidy up. See our case studies section for examples of site clearance and road preparation work carried out for past clients. At GM Land Solutions, we can tackle any size or scale of site clearance project. Contact Us to discuss your next clearance project you would like us to tackle and we can arrange a site visit and quote with no obligation. From your initial enquiry through to the project completion, we ensure that we give the utmost respect to both our clients and their properties. You can rest assured that with GM Land Solutions, your project is in good hands. Click the arrows to view this site before and after.